It’s easy to stress out about how imperfect we are as mothers and forget that we are already great mamas for our kids! We get stuck comparing ourselves to other moms, thinking we need to do everything like them (or they need to do everything like us) in order to be a good mom and raise our children “right”. 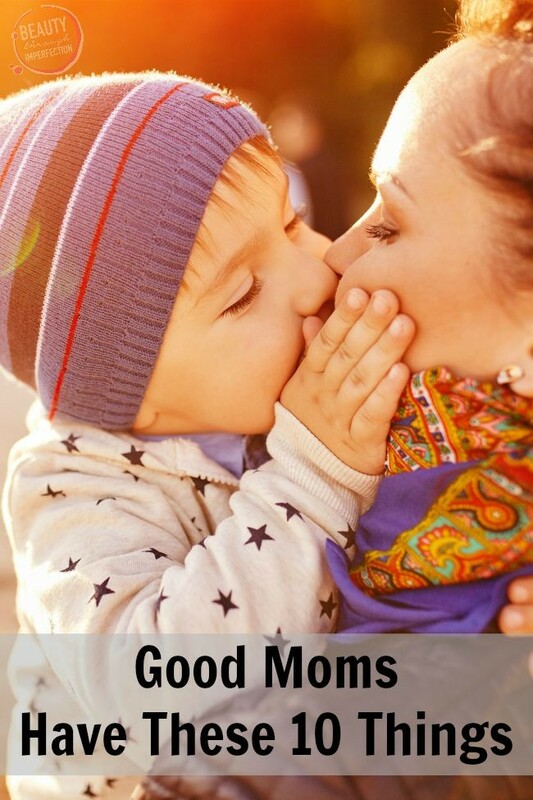 That’s why I’ve compiled this list of 10 things ALL good moms have in common. It doesn’t matter if you’ve literally written the book on parenting (or at least read every book on the subject), you will still have cranky and dare I say it, naughty, kids from time to time. Your child misbehaving or throwing tantrums doesn’t kick you out of the “good moms club”. If anything, it’s a requirement for membership, as it shows that you are, in fact, parenting a human child. No matter how hard we try, how intricately we plan, or how desperately we attempt to just ‘go with the flow’ we all have bad days. It comes with the territory of being human, so of course, it’s a part of motherhood too. We may not let other moms see it (though I think we shouldn’t be afraid to) but we all have those days! We all have days (or weeks) when we’re tired of this whole mommy thing. Sure, we wouldn’t trade it for the world…but the reality is, motherhood is exhausting. If you are a Stay at home mama, it’s tiring. If you are a mama who works out of the home it’s tiring. If you are a mama that works at home (shocker) it’s tiring!!! We all have our moments where we just need a break from all the needs of little ones. Needing a break does not make you a bad mom. It’s just evidence that you are constantly putting some one else’s needs above your own and at some point or another that catches up with you. Every last one of us suffers from mommy guilt. Whether it’s guilt from the way baby entered the world, the cleanliness of the home, or guilt weighing on your mind because you needed a break one day, we all feel guilty. Yes, we have all made parenting mistakes, so I suppose you could say we all have reason to feel guilty, but if we decided to be as gentle and supportive of ourselves as we are with our close friends, some of that guilt would melt away, and we’d be freed up to focus on more important things like playing silly games with our babies and realizing that we’re doing a pretty great job, despite our mistakes! Along with feeling guilty, most of us also feel inferior to the moms we see around us. Maybe it’s the friend whose house is always spotless, or the mom in the grocery store that’s dressed to the nines with her children calmly walking in a perfect line behind her. We all have other mamas that we compare ourselves to, while worrying that we don’t measure up. I have a secret for you though…even those perfect looking mamas that seem to have everything put-together, suffer from feeling inferior and worrying that they aren’t measuring up to some one else. None of us are immune. We all have our faults, and our strengths. The real trick is finding ways to learn from each other, instead of feeling threatened or inferior because of our differences. Screaming children, 1000s of dirty diapers, toys all over the floor, preparing multiple meals a day, trying to convince the kids to eat… any/all of these things are enough to cause moments of temporary insanity in even the most calm of mothers! All mamas have those moments, don’t let them make you feel like you aren’t rockin’ this whole “motherhood” thing. It’s inevitable. If you have children, your home will be messy from time to time (or all the time). Toys all over the floor is not equivalent to “failure as a mother” status. Neither are dirty dishes or unfolded laundry. We’re all just doing our best, and sometimes that best means take-out for dinner so you have time to wash yesterday’s dishes or put away last week’s clean laundry. Do what you gotta do mama! There will always be those moments as we look on the messy home, and the noisy kids and all the other craziness that comes up during the day. All the chaos, the tears, the tantrums, the never-ending questions…sometimes we just need peace. A stolen moment of quiet. An early bedtime, a trip to the potty in solace. These are things we all crave (and miss), especially in the midst of a drama-filled day with the kiddos. We all have our good days and our bad ones, we all feel like we could be doing a better job, and maybe we just aren’t ‘good enough’ for this motherhood thing… and we all need support. When you see a mama struggling, smile at her and tell her she’s doing well. Because she needs it. When you see that mama that seems so put together on the outside, remind her that’s she’s doing a great job, because you never know when she might be falling apart on the inside. Offer support, give smiles, and most of all refrain from silently (or loudly) judging. Because we’re all in the same boat. Through all the bad days, and the crazy nights. Even with their naughtiness and all our worries, nothing can quench the love that we have for our kiddos. There is nothing in the world like being a mama, and even though we might want some time off now and again, the love good mamas have for their kiddos can’t be explained with words. Despite our differences there are still many things all good moms have in common. 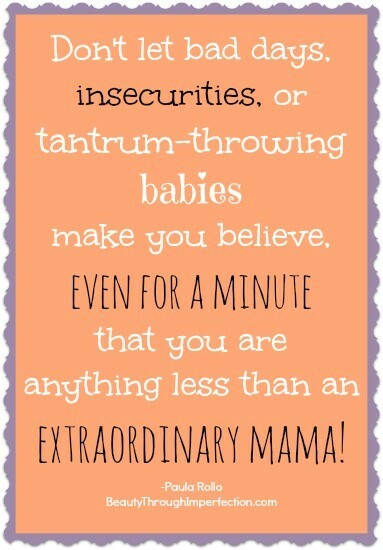 So don’t let those bad days, insecurities or tantrum throwing babies make you believe, even for a minute that you are anything less than an extraordinary mama. For more encouragement follow us on Facebook! If you enjoyed this post then you will LOVE my new ebook, Confessions of an Imperfect Mom! You can get it on amazon here. Loved this! Very well said! So true! Hahaha! Though sometimes I think I have more than just a few moments of insanity!! Paula, how often am I allowed to have one of those “temporary moments of insanity”? :) Seriously though, sometimes I just lose all sense of who I am and what is important to me as a mom and as a person. Anyway…. deep breaths, deeeep breaths. :) I really like your blog. You seem so nice! Love this, we all have struggles but we are doing our best and are being great moms! My husband is a stay-at-home dad and this list applies much more to him than me. No need to make it about “moms” when “parent” works so much better! ITA. And it can all just as easily apply to work outside the home dads and work at home dads, too! What a beautiful and crazy relatable! Will be passing it on! I get the sentiments here, but I’m always surprised by the messy house thing. I am in my 40s. In all my childhood, I never saw any home a mess – Not my own, not my 4 aunts/uncles nor their siblings (and I lived with all of them at one time or another), and not anyone we ever visited. We kids didn’t make/leave messes. I don’t recall anyone telling us to clean up because we never left things behind. I am one of 28 cousins. Each of us has 4-6 kids. Our houses aren’t messy. So are we an anomaly? I don’t ask this to be rude or come off as a snarky jerk. I’m truly curious because it seems MOST common to not be able to handle the housework. I must say I was surely surprised by the items on your list, pleasantly I might add. I will definitely be sharing! @Amy: My take on the answer to your question, from my own experience with five kids, is twofold. The first part of my answer is that there is a way to encourage kids to be more naturally willing to clean up after themselves and help with household chores from a very young age. This process requires that parents involve their wee ones in the process from as soon as they’re able crawl and walk. Since my two oldest children slowed me down, I rarely involved them in the joy of helping. They were so eager to be like mommy: to help fill/empty the washer, dryer, dishwasher and be involved with many other chores. I repeatedly crushed their tender hearts because of my fear they wouldn’t do it right or that they’d slow me down. Is it any wonder they’re not fond of chores? The other part of my answer is that there are many children who are naturally inclined to clean up after themselves without the need for training. Take my two oldest, for example again. When my oldest is asked to do her chores, there will be a war. Guaranteed! She doesn’t care to organize her own things as long as everything is all there she’s happy. My second, while she does not love chores does them obediently and is always making her bed and keeping her belongings organized. As I mentioned earlier, they both received the same training from me. I am capitalizing on what I learned from the my mistakes with the younger ones, and I’m beginning to sense a difference. I enjoyed your article on being a mom. I believe that as women we take on more then are share of feeling guilty for all things left undone, unsaid, untried, even untrue. I salute all people willing to become parents, because if there was a book and we read it beforehand we would never do it. Parenting is hard work! Being kind, forgiving, and learning from our mistakes is just what we need to do. No one really does parenting better than someone else. We all do it in our own way. I’m not done being a mom to my kids even tho they think I am. At twenty-seven, twenty-six, twenty-four and twenty years of age they are not babies anymore. They are my brightest lights, my greatest joy and my biggest accomplishment! Love this! It’s so hard sometimes not to beat myself up as a mom! I needed to read this today. Thank you and I will follow you on FB. Thank you for this. it is just what I needed to hear. Your words have made my day so much brighter! This was a wonderful well written post. I printed it out to read it when I am having a bad day. 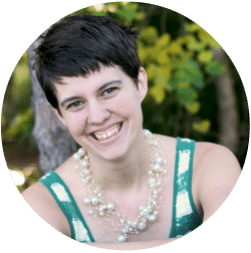 Hello,I read your blog named “10 Things All Good Moms Have in Common – Beauty Through Imperfection” daily.Your writing style is witty, keep up the good work! And you can look our website about proxy server list. subjects you write with regaｒds to here. Again, awesome web site! Thanks, Paula. My mom has all of this, and I didn’t realized until I grew up. I should have known since the beginning that I was one of the most lucky person here. It is so nice to see your post. You have penned down a mother’s feeling so well. That makes me feel, I am not alone. So, keep smiling n bug up. Motherhood is an endless chore. Hi, Thanks for the helping me throwing your Blog “10 Things All Good Moms Have in Common”. I am a new parent with my first baby. So I have no enough ideas about this. I will bookmark your site and keep following from now. If you had more insight, I would much appreciate it. Worth reading. I’m very sure, all of us have this, “temporary moments of insanity”! Love this article. Just in time when I needed most. Thank you. These hygiene tips are really helpful for kids. Keep sharing more stiffs like this. 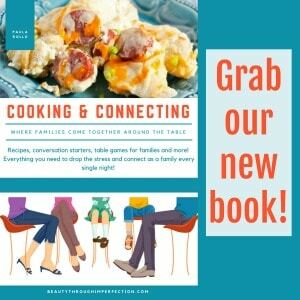 Hey Buddy!, I found this information for you: "10 Things All Good Moms Have in Common". Here is the website link: https://www.beautythroughimperfection.com/10-things-good-moms/. Thank you.